Temperate climate with cold winters (Jan-Feb daytime high of -3ºC/26ºF) and warm summers (Jul-Aug daytime high of 23ºC/73ºF). Light- to medium-weight clothing in warmer months, heavy-weight clothing in winter. Waterproof wear is advisable all year. 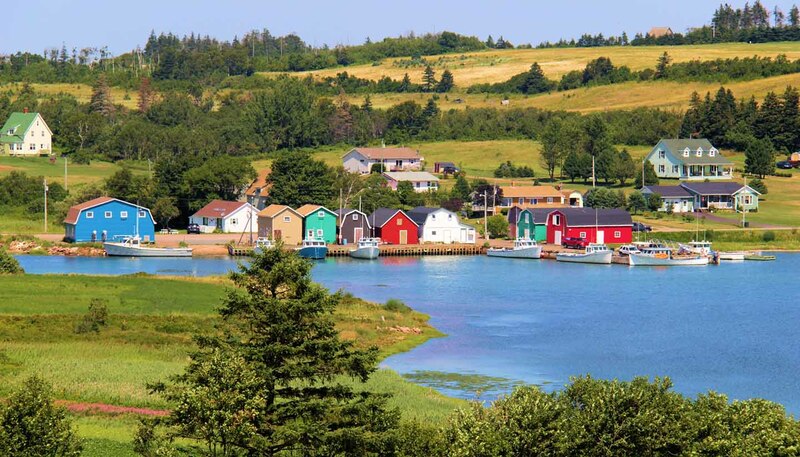 Prince Edward Island is a crescent-shaped island in the Gulf of St Lawrence comprising red farm fields, northern evergreen forests and white sand beaches. It is 280km (175 miles) long and between 6km (4 miles) and 65km (40 miles) wide.